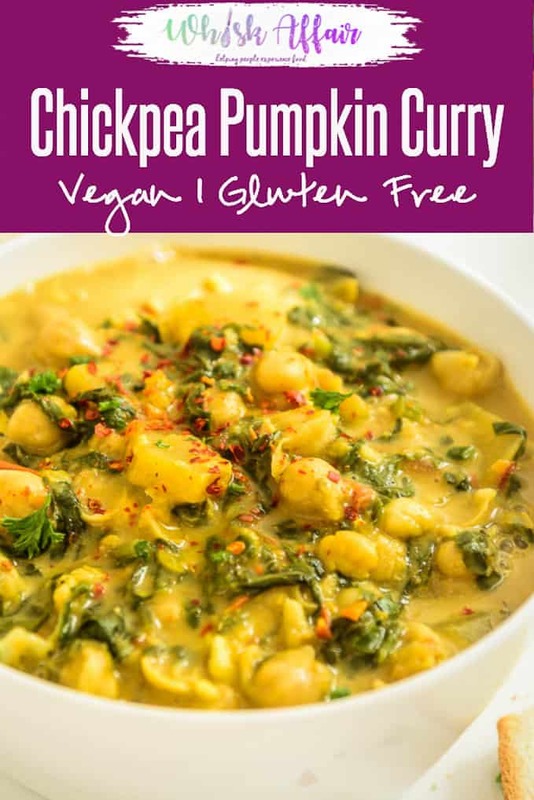 One Pot Vegan Pumpkin Curry with Chickpeas has decidedly Asian influences, and this dish is a wonderful combination of sweetish sour ingredients steeped in fresh coconut curry broth infused with spices. 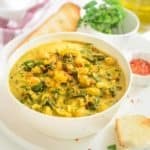 Here is how to make One Pot Pumpkin Curry with Chickpeas. One pot dishes are easy, filling, hearty and time saving. 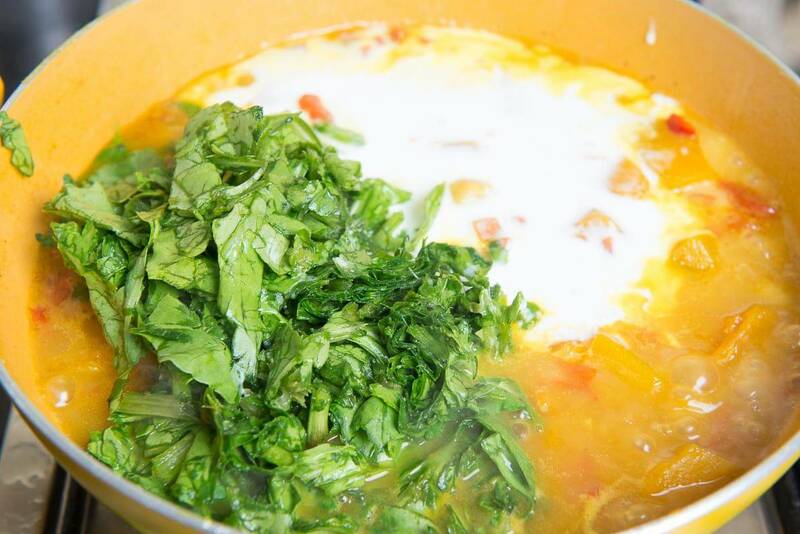 Most countries have such one pot meals that are often prepared by families passed down through generations. This dish can be enjoyed as is, or with bread or a little rice on the side. 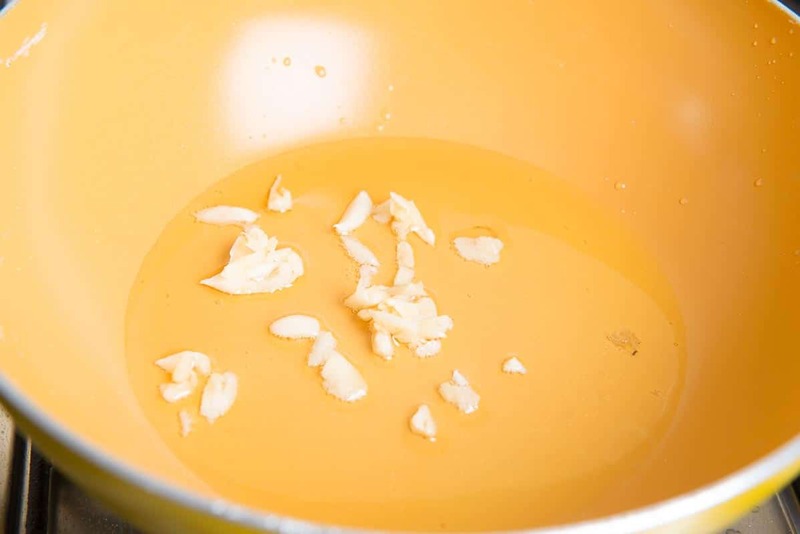 Coconut milk is often used in thickening, since it also lends a unique, peculiar flavor and is mildly sweet. 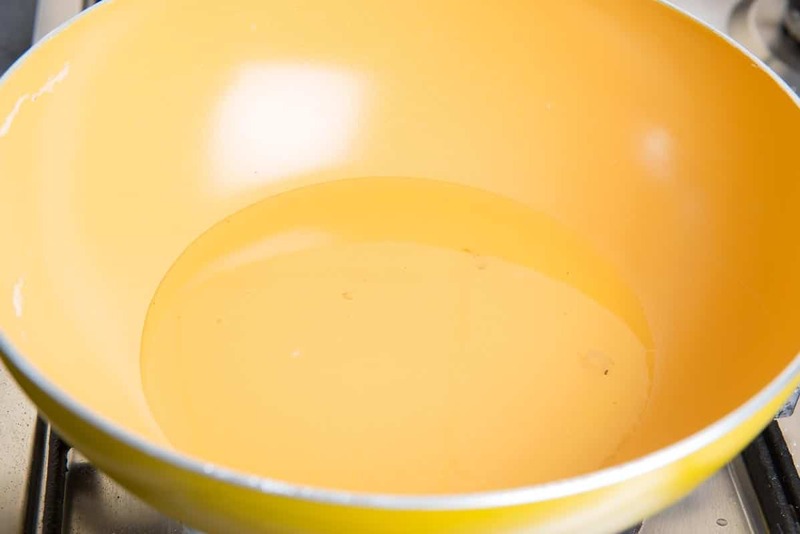 Alternatively, cashew paste or cornflour can be used for thickening. The milk doesn’t overpower the taste of the other ingredients. It also helps in better digestion of ingredients. 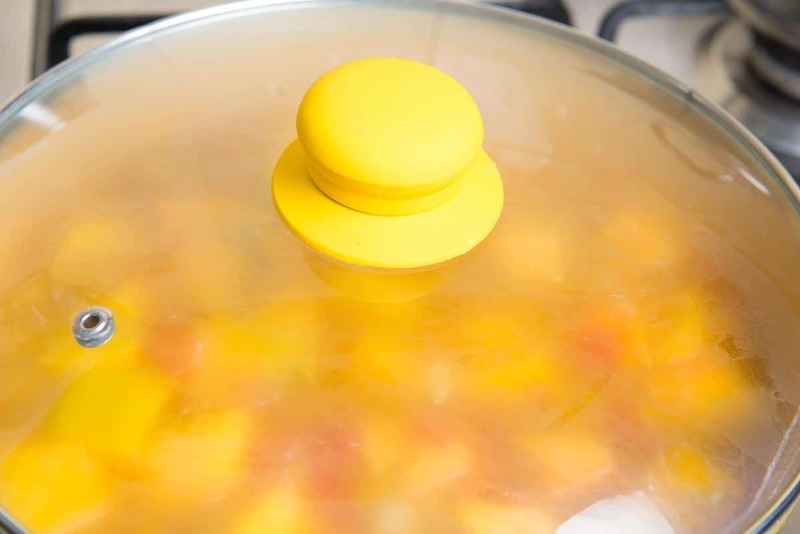 Other one-pot recipes that is just as flavorful is the One Pot Mexican Rice recipe. 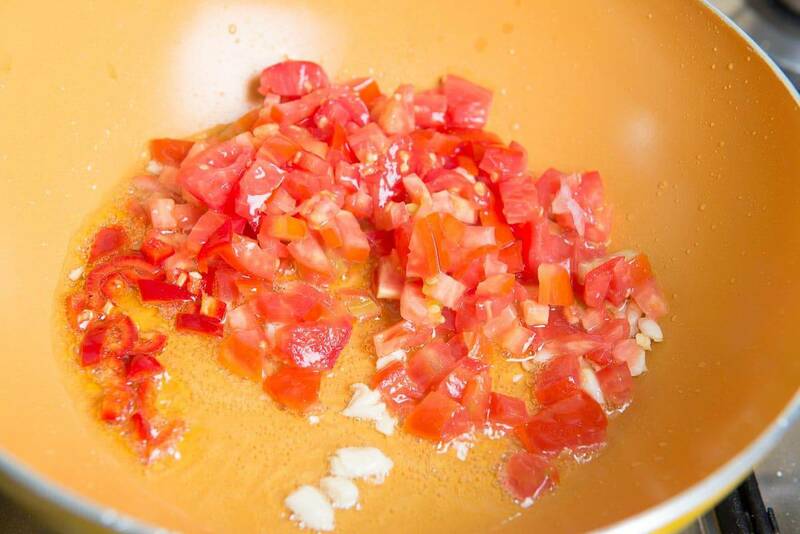 Add red chilli and tomato and cook for 3-4 minutes. Now add turmeric powder and roasted cumin powder and fry for a minute. 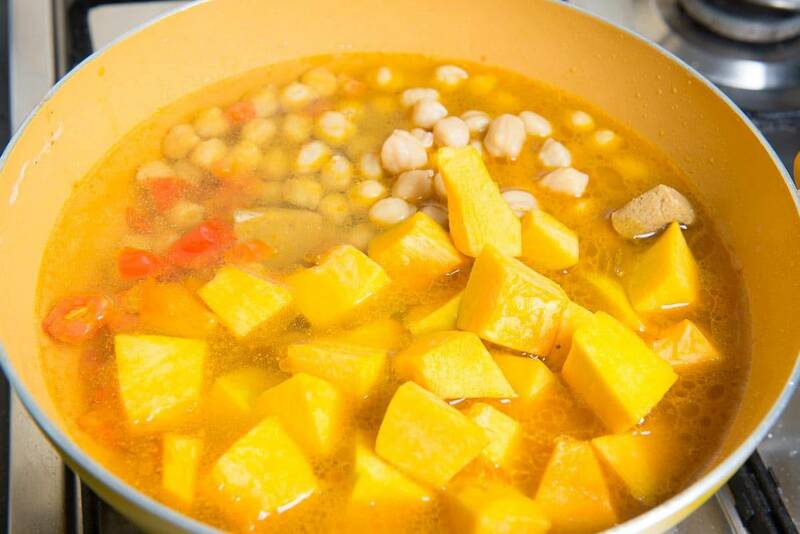 Add chickpeas, pumpkin and veg stock and simmer the curry on low heat for 30-35 minutes. 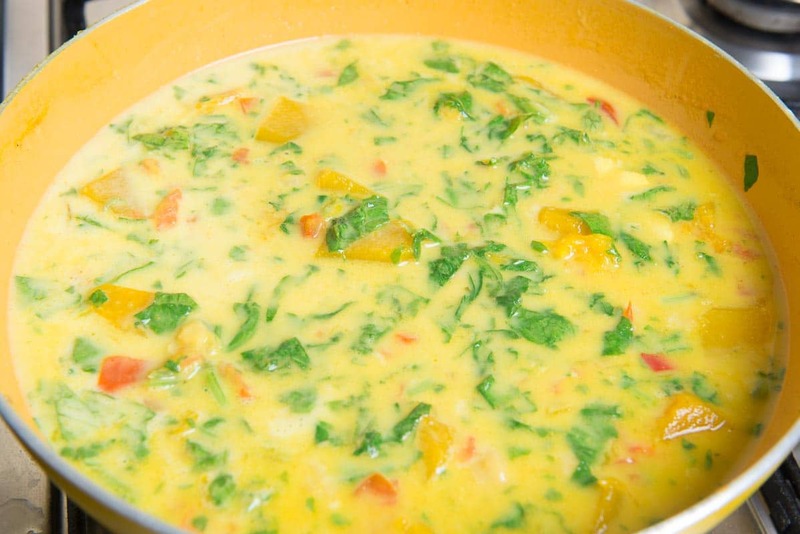 Add coconut milk, spinach and salt and cook for another 3-4 minutes. 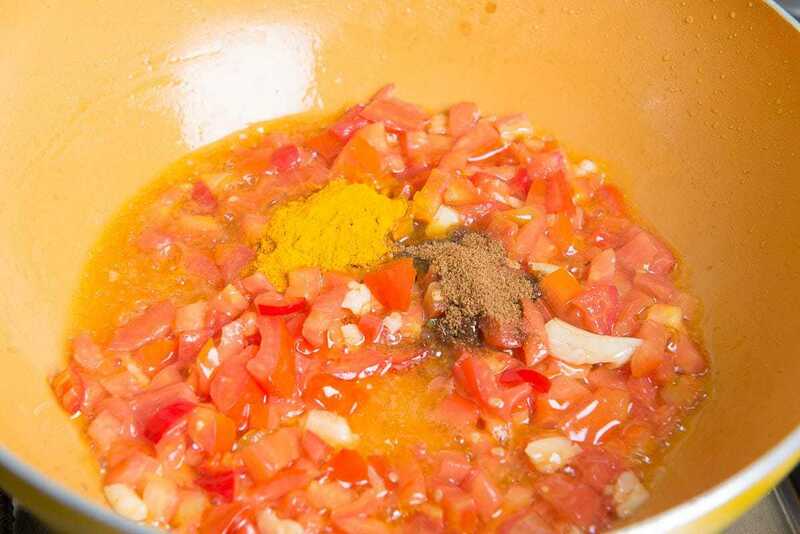 Serve the curry with steamed rice. 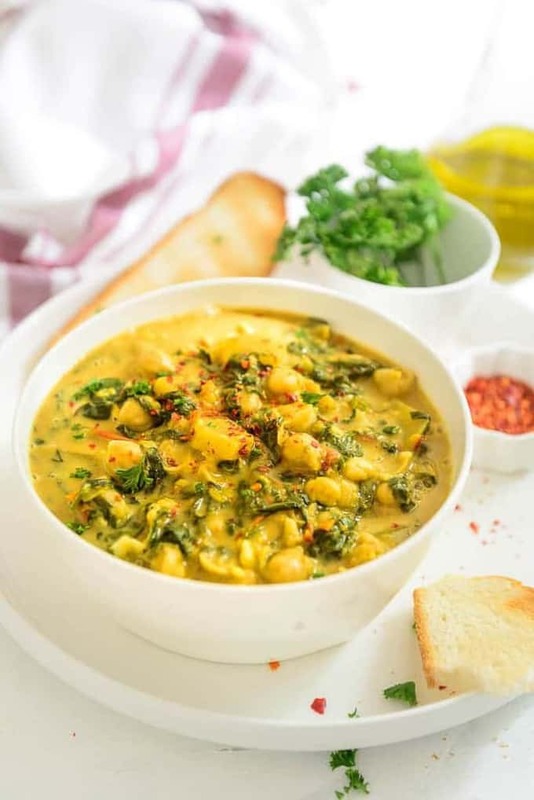 One Pot Chickpea Pumpkin Coconut Curry has decidedly Asian influences, and this dish is a wonderful combination of sweetish sour ingredients steeped in fresh coconut curry broth infused with spices.